A list of Ph.D. graduates and their dissertations since the 1998-1999 academic year. 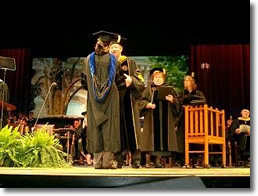 A list of students who have received their Masters Degree since the 2001-2002 academic year. A list of students who have received their Bachelor of Science Degree since the 2000-2001 academic year. Our students gain employment all over the world. Take a look at some employers of our Statistics students. Data about the number of students awarded degrees since the 2000-2001 academic year. Our alumni profiles are designed to demonstrate the range of career opportunities available to students in Statistics. They also highlight the accomplishments of or alumni, of whom we are very proud.